We all know that sinking feeling, the vehicle digging in faster than forward progress can be achieved. This is usually combined with a rising tide, hungry crocodiles, and cantankerous bystanders. 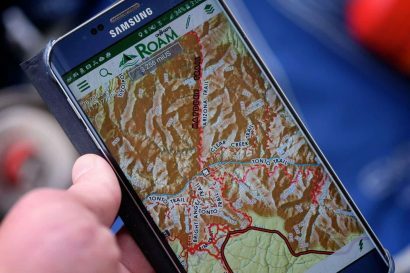 Getting stuck happens to all of us, or at least those willing to explore further afield. For me, getting mired has become a badge of honor, an opportunity to problem-solve, snap a few self-deprecating images, and learn about the joys of self-recovery. My worst stuck occurred at one of the most remote points on the planet, deep within the Australian Outback, over 500 kilometers from the nearest tow truck. 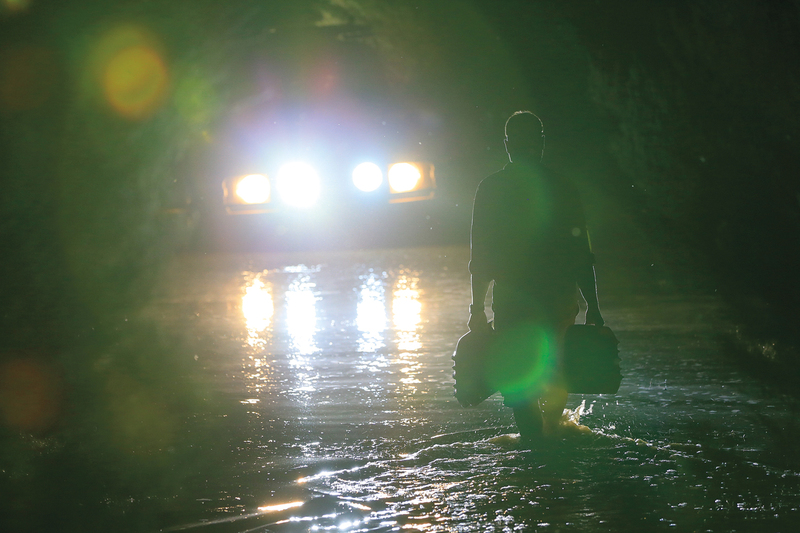 It was the perfect storm: a cascade of events occurring within moments, a muddy track devolving into a flooded basin, the water getting deeper as we continued forward with no chance of turning around. We churned onward, focused on what appeared to be the best path, ultimately zigging when we should have zagged. In a moment, we were stuck, the heavy Land Cruiser listing to the passenger side and taking on water, slowly filling the footwell. No problem, we had a winch. Well, we did, until the fairlead broke and severed the synthetic line. Then the winch on the Land Cruiser behind us stopped working, turning for a few revolutions until the motor seized. With two 7,000-pound Toyotas bogged down in mud, the only thing that got us out was a lot of physical effort and 12 (yes, 12) traction ramps. We literally built a road in the quagmire and slowly, steadily backed over 100 meters to solid ground. From that sticky point forward, I have rarely traveled without a set of traction ramps—that single lesson in the Great Sandy Desert proving the essential justification for these magic items. I will also admit my previous bias against carrying them, earlier examples proving to be too heavy and difficult to store. Even during my first test (Winter 2009), I was leery of their use in all but specialized scenarios. Nearly a decade later, they have now become indispensable kit to me. While wood and carpet have been used since the first automobile—at 19, I once resorted to office drapes to help extricate my very stuck Isuzu to no avail—traction mats really became a thing in the 1940s with the availability of Marston Mat, later called perforated (or pierced) steel planking (PSP). Various consumer solutions followed, most with dubious results. Over time, they improved, and within the last few decades real options have become available. Within this product category, there are three types of traction tools. 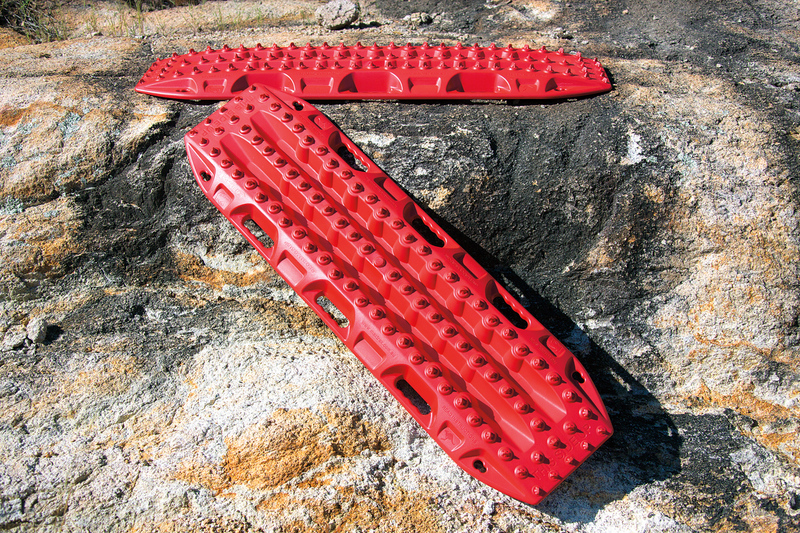 Sand ladder is the term typically applied to any rigid configuration, including PSP and traditional rung-style traction ladders. Throughout the years, we have attempted to use the rung-style ladders (they look like a ladder used to access a roof tent), but they have always performed poorly. 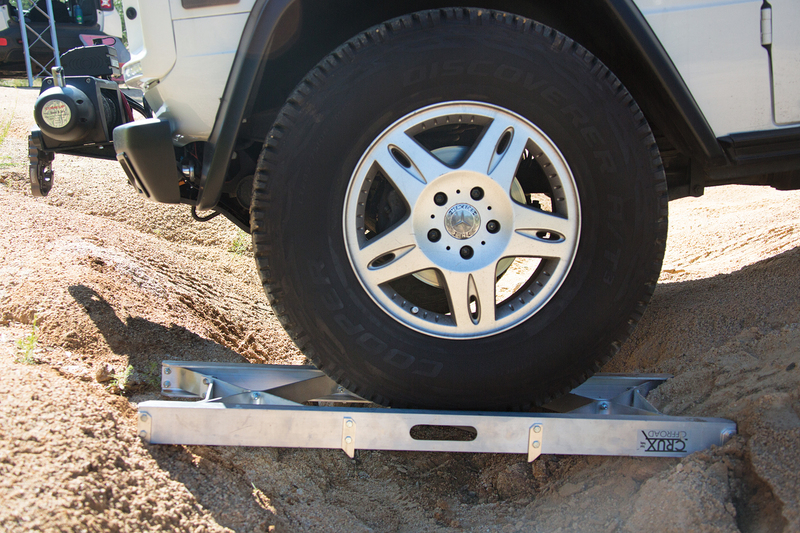 The more common style is a sand ramp or plank like the Maxtrax, a semi-rigid unit whose primary function is providing flotation to support the weight of the vehicle on soft surfaces. Their performance improves with the addition of lugs and studs that interface with the tire. When selecting a sand ladder or ramp, we recommend a unit at least 10 inches wide and 40 inches long. Sand mats are flexible and often rollable and include a wide variety: carpet, rubber matting, rolling segments of recycled tire carcasses, etcetera. 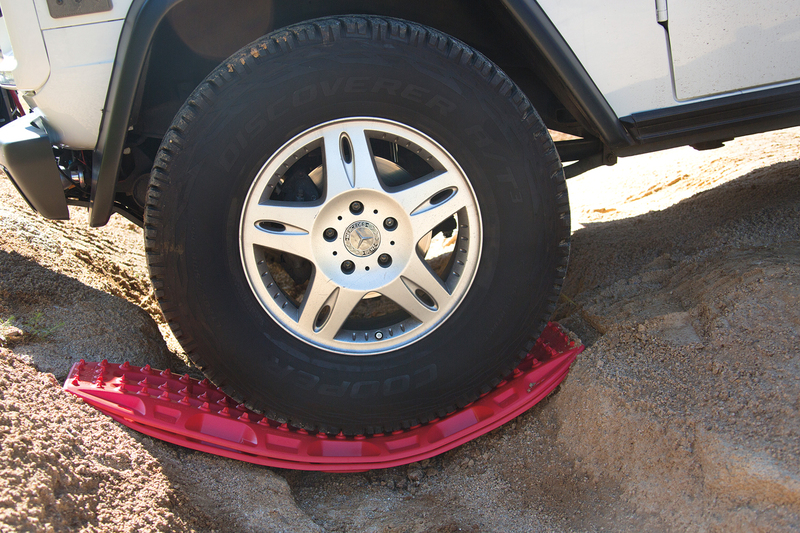 These units exhibit limited effectiveness when compared with rigid options, as a critical attribute of the sand ladder or ramp is its rigid shape, which distributes the rotational force of the tires over a beam. Sand mats were excluded from this test and should be considered a poor choice for vehicle recovery. 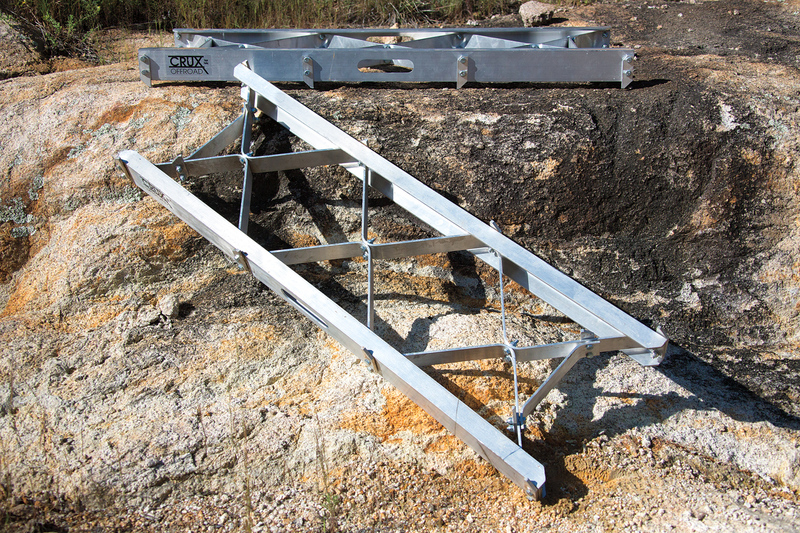 Bridging ladders should perform equally well in the sand and as a bridging device. Their additional bulk and weight are easily justified if this tool is required for your intended terrain or vehicle capability. This is a serious piece of kit, suitable for rescue from axle-deep mud in Siberia or sketchy dugout canoe ferries in Bolivia as you load your beloved 4WD from eroding riverbanks. Impressive when called upon, they come at the cost of space and GVW. We learned quite a bit from our 2009 test and subsequent journey around the globe. The process started by deciding which models should even be included in the test, as the volume of knockoffs and me-toos has grown too large to keep track of. As a result, we wanted to focus on units that were either broadly popular or unique in their design. The testing consisted of three real-world scenarios: The first was a soft, low-traction surface in the Cinders outside of Flagstaff, Arizona. Volcanic cinders behave similar to sand, but I have found the surface to be more predictable, helping to provide a more consistent evaluation. The G-Class was driven up a cross-axle slope until the front passenger side tire lost traction, dug a hole, and the suspension reached full extension. One of the advantages of the Mercedes is that it has three differentials, so I could isolate the spinning tire to one corner. 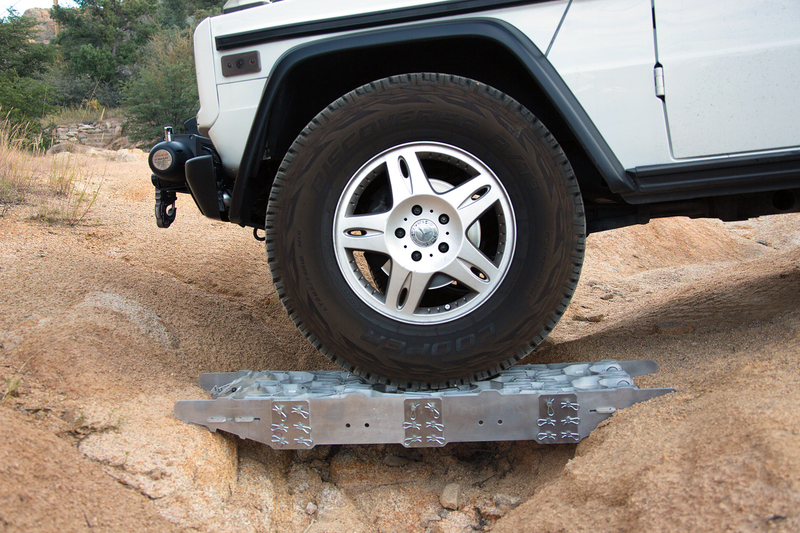 The second test was bridging, where the 6,900-pound G-Wagen was driven across a 36-inch span with a depth of 13.5 inches. Bridging can be required in many terrains, so it is important to understand how all products fare in this situation, even models not designed for this use. The last test was ramping, using a lighter Jeep vehicle with traction control. This was on a surface of dirt and granite, intended to help the vehicle approach and clear a 14-inch step. The ramping test provided the evaluation of a unit’s ability to grip various surfaces and not slide or displace under rotational force. Crux bridging ladders are the brainchild of Jeremy Plantinga, an engineer by trade. The standard model is constructed from both bent and extruded aluminum, is 48 inches long, and either 16 or 18 inches wide. This is a practical length for typical stuck scenarios, but can be on the short end for many bridging requirements. 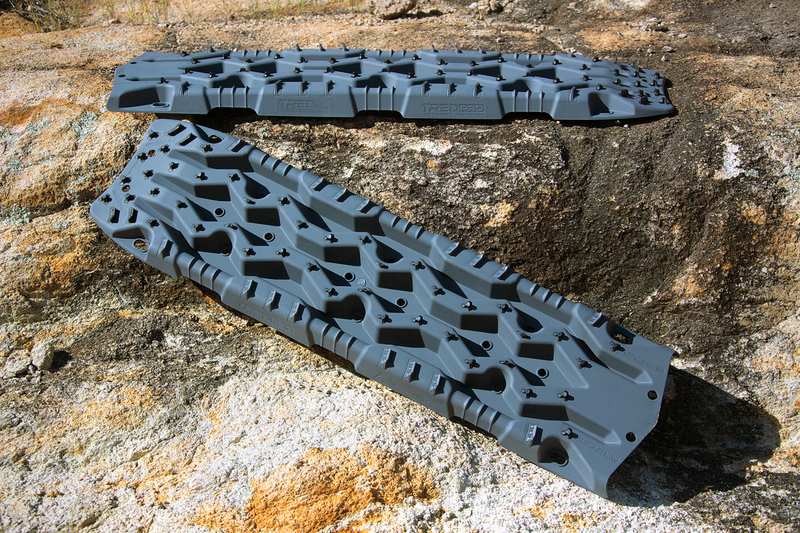 To aid with the ground-to-track interface and stability, 12 metal ground spikes can be installed to grip most surfaces, being particularly effective on ice, snow, and textured rock. However, these cleats also come at a cost to both skin and the vehicle, easily catching a leg or a 4WD’s plastic trim pieces. The unit is designed as a functional compromise between a bridging ladder and a sand ladder, employing a few clever design elements. One idea (of several) that proved to work as advertised was the inset rungs that help reduce kick-up after the tire clears the track, a common problem with other offerings. The units are heavy at 16.5 pounds each and must be transported not only with gloves but with care due to sharp edges. Several of the testers noted random cuts or tears to clothing from the lugs. They are also challenging to store, being taller and wider than other ladders and lacking the ability to nest. They will do best in the bed of a pickup or bolted to a roof rack. 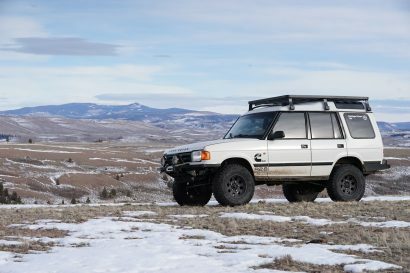 The Crux famously helped extract dozens of Overland Expo attendees during the 2015 Mormon Lake Snowmageddon. For the stuck test, the Crux ladders performed near the top of the class by setting well under the load and moving minimally under rotational forces. The test vehicle was extracted in all three evaluations with only one instance resulting in tire rotation. Lug interface is of critical consideration with these, as the more street biased the tread, the more likely it will slip against the angled rungs. In very soft mud and snow, the lack of surface area will also result in the ladders compressing deep into the medium and reducing available flotation. We also noted that wet conditions exaggerated the tire spin more than with offerings with cleats. For bridging, the Crux is a champ, easily supporting the weight of the G-Wagen and measuring less than 1/4 inch of deflection. The spikes also helped with stabilization and prevented sliding. The limited surface area of the extrusions that contacted the edges of the span did result in more sinking at the ends of the load. With ramping, the model also performed well, scoring at the top of the category. Again, the lugs bit into the granite and only moved after the front tire cleared, pushing it a few inches rearward. Made in the USA, 1-year warranty. Few pieces of kit look as overlandy as a pair of Mantec PSP sand tracks bolted to the side of a Defender’s Brownchurch rack. Only minimally revised from the design of the Marston planks, these 4-millimeter-thick aluminum units are a full 5 feet long and can easily double as a litter for an injured traveler. They lack the interlocking tabs of the original runway matting, but retain the perforated holes, reinforcing channels and bends. These units performed well in our 2009 test, taking the Editor’s Choice Award because of their exceptional all-around functionality and suitability in sand. New technology and better options have come to challenge this old stalwart though. At nearly 31 pounds for the pair, they are neither light or easy to store. Best served as the flooring of a rack or drawer system, they create space considerations in most vehicles. However, all of that surface area provides excellent flotation, distributing the weight of a 4WD over a considerable area. The length also helps with maintaining momentum from axle to axle. However, the smooth finish and one-way perforations result in limited tire adhesion and mechanical keying, wheelspin being the result. These sand ladders are the flotation champions, reflected in their success in the sand dunes of the 2009 test. For this evaluation, we intentionally increased the difficulty, requiring the units to assist with a vehicle completely mired in volcanic cinders. This was a problem for the Mantecs, which failed to provide traction and recovery during all three attempts. The limitation of the model falls squarely to the lack of surface lugs, cleats, or rungs. Positioned with the perforations facing up or down, the smooth surface caused the tires to spin and the G-Wagen to remain stuck. The effectiveness would only get worse should the conditions be muddy or snowy. Based on our experience, this unit works best as an augmented or supportive surface, not as a recovery track. 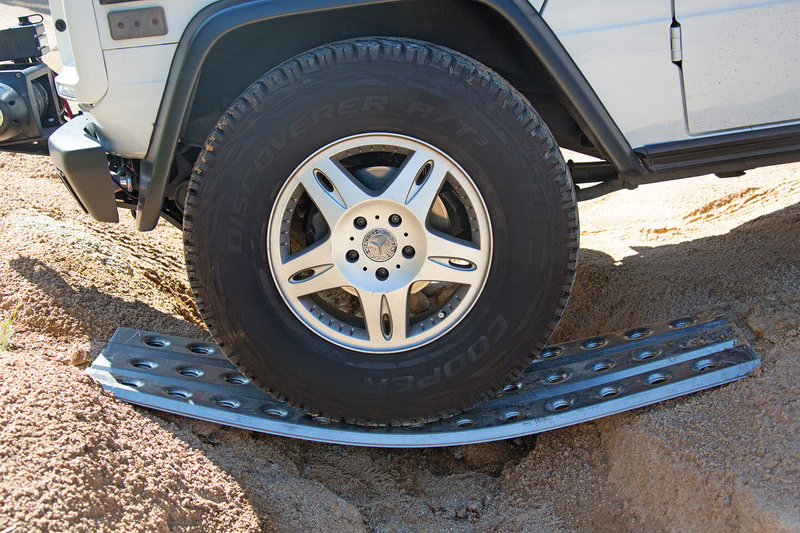 For bridging, we also increased the difficulty from the 2009 test by using our project G-Class for the task, which bent the Mantecs into a stylish crescent, but they still fared better than the other sand ramp products in the review. The model performed admirably under the weight of a Discovery in the 2009 evaluation, so safe single wheel loads on a stacked pair should be around 1,500 pounds or less. On ramping, the units also performed better than most with consistent support on the lighter test vehicle and minimal kickout or tire spin. The length also helped with this, providing a shallower angle for the vehicle to climb. Made in the United Kingdom, 1-year warranty. 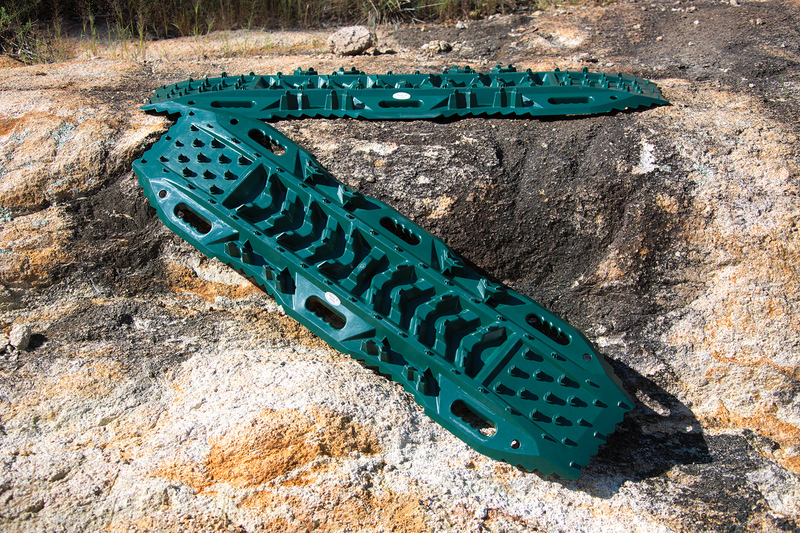 The original Maxtrax was developed in 2001 after inventor Brad McCarthy nearly lost his bogged vehicle to the rising tide on a North Queensland beach. The product was born from Brad’s resourcefulness and passion for solo travel in the Australian Outback. He needed a way to perform an efficient self-recovery when using a winch was difficult or impossible. It started with the MKI (featured in our 2009 test) and progressed to the current MKII model, which includes several key improvements for mechanical keying, durability, and temperature stability. Measuring 45 inches long and 13 inches wide, they can stack in a pair for a 3.5-inch profile. Made in Australia from UV-stable, engineering-grade reinforced nylon, each track only weighs 7.5 pounds and can be carried by one of the six built-in handles. One of the key design elements is that both ends of the MKII are tapered for ramping of the tire and reducing pop up and shifting in the obstacle. There are a few unique attributes to the Maxtrax, including accessory key slots for mounting and linking, and the availability to purchase the units in extreme cold weather compounds to resist cracking all the way down to -40°F, a function we tested on the eastern coast of Antarctica. 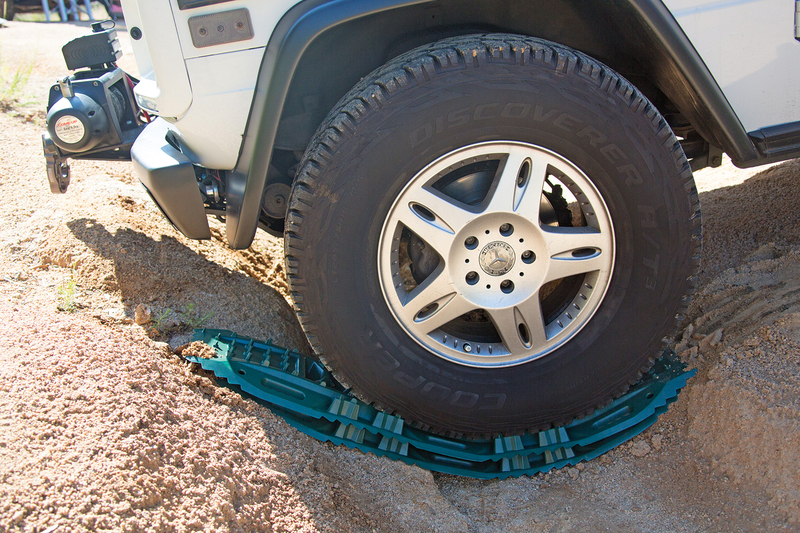 The Maxtrax is well suited to the typical stuck scenario, a vehicle mired in deep sand or mud. In this situation, the underside of the ramp can be used as a shovel to assist with removing material from in front of the tire. The track places easily by shoving the lugged ramp under the face of the tire as far as possible. With good mechanical keying, these units successfully recovered the G-Wagen in every evaluation attempt. Most notable was the complete lack of wheelspin in each extraction, demonstrating the excellent placement and angle of the lugs. The unit also set positively, the ends pushing into the cinders, anchoring the plank. Minimal kick-up was noted as the tire exited the trailing end. While the MKII is not advertised for bridging, we have used them successfully for small spans with light vehicles. A nested pair easily supports the weight of a typical wagon, but struggled under the load of the G-Class, bending far into the gap. Fortunately, the material is designed to endure such bending and deformation, and returned quickly to its original shape. For ramping, it performed admirably, and was the best of the traction planks, again aided by the sloped leading edges. It stayed in place better and exhibited less of the kick-up and displacement common to this class of device. Made in Australia, lifetime warranty. Increased competition and consumer demand for traction tools have resulted in a flood of products to the market. While most have proven to be poor copies of already effective designs, there are some companies that have made an effort to innovate, like Tred from the Evolve Group, a 100-percent Australian-designed and manufactured product. Being the new kid on the block, the Tred Pro is an attempt to address some of the performance and temperature challenges (cracking) of the original Tred with a new design and patented Exotred dual-composite material. At just over 45 inches long and nearly 13 inches wide, the Tred Pro provides good flotation and stability on most surfaces. The leading ramp is particularly effective with aggressive lugs and a dished profile. These nesting units also employ a Sipe-lock system which positions the lugs at angles and intervals most consistent with popular all-terrain tires. In practice, this worked particularly well on the ramp, but the reduced lug spacing on the center of the plank limited grip, and induced wheelspin under heavy rotational torque, particularly with narrower tires. The Tred Pro performed as advertised in the cinders, proving to be easy to set under the tire and providing excellent tire grip on the ramp. The shape of the ramp also allowed it to dig into the surface and stabilize, aiding with the extraction. In every evaluation, the Tred Pro successfully recovered the G-Class, and there was no wheelspin in two of the three attempts. The only notable concern with this model is the unusual choice of making the trailing end a flat edge without any taper. This caused the unit to experience kickup on every test, dislodging the ramp end. It is called the shovel end and is devoid of lugs, which reduces the total useable length of the plank. This design flaw significantly reduced the ranking on this otherwise solid performer. For bridging, the Tred Pro did the best of the nylon planks, resulting in the least deflection. Although very close to the Maxtrax in result, the taller profile of the Tred Pro and additional structure of the molded channels did a better job of supporting the Mercedes. For ramping, the leading edge again performed near the top of the group, but the shovel end immediately sent the Tred Pro flying up and rearward. Durability has been excellent. Made in Australia, lifetime warranty. Smittybilt has been in the business of off-highway accessories for decades, producing value options and a wide range of products. 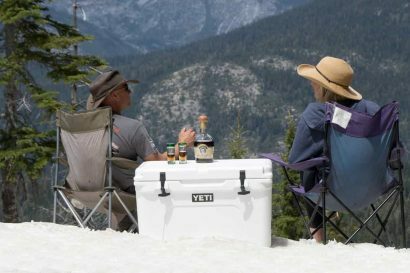 In recent years, they have also started offering solutions for the vehicle-based traveler, including roof tents, camping gear, and even a trailer. Their solution for a sand ladder is the Element, a nylon-reinforced plastic-molded unit that comes delivered as a pair and includes a 600-denier transport bag. Reminiscent of the first generation Maxtrax, the model is designed with dual sloped entries and raised traction lugs throughout. The sides include a total of six carry handles and serrated edges to aid in gripping the low-traction surface. The ramps are also molded with several strengthening ribs to help maintain shape and support in irregular terrain. For the G-Wagen stuck in the cinders, it was a difficult task for any traction aid, putting 100 percent of the tractive force to one tire. In this case, the Element was a mixed bag, successfully recovering the vehicle, yet suffering from several broken cleats. The units also shifted more than the others and when stacked, easily unnested. In soft conditions, with light vehicle and careful throttle application, they can certainly help, but anything more than rare and easy scenarios will result in a damaged product and a vehicle still stuck in the muck. With our bridging test, the Element ramp provided no measurable support to the vehicle, compressing all the way to the ground, resulting in a failed evaluation. They also separated easily from their nested state, something not common with the other units. After driving the vehicle off the ramps, they remained bent and required manual straightening. For ramping, they were almost immediately kicked out by the rotational force of the tire, lacking grip against the rock and dirt. They provided little effectiveness although they did not fail completely in that test. Made in China, 1-year warranty. Based in Spring Branch, Texas, Pronghorn Overland Gear was founded by Trey Hermann, who is also the director of design and development. The slogan on his shop wall reads, “Off-road and expedition meets SEAL Team 6 meets NASA. With a dose of LRDG [Long Range Desert Group] to keep us focused.” Their products certainly reflect this ethos as well as a consistent and attractive aesthetic. With optional bridging rails, this product is the most versatile of the test, providing either a flexible or rigid solution and the ability to span a 50-plus-inch gap with a 5,000-pound single wheel load. It is also the heaviest entry of the evaluation at nearly 100 pounds per complete pair. The track is produced from 6061-T6 aluminum, the primary links extruded and then fitted with welded plates for rigidity and additional flotation. Large cross tubes slide through the mating pieces and the links, providing the ability to extend the length indefinitely, but also replace damaged components in the field. Surface traction relies on the profile of the extrusions and adhesion, but there is also the opportunity to install ice screws if required. 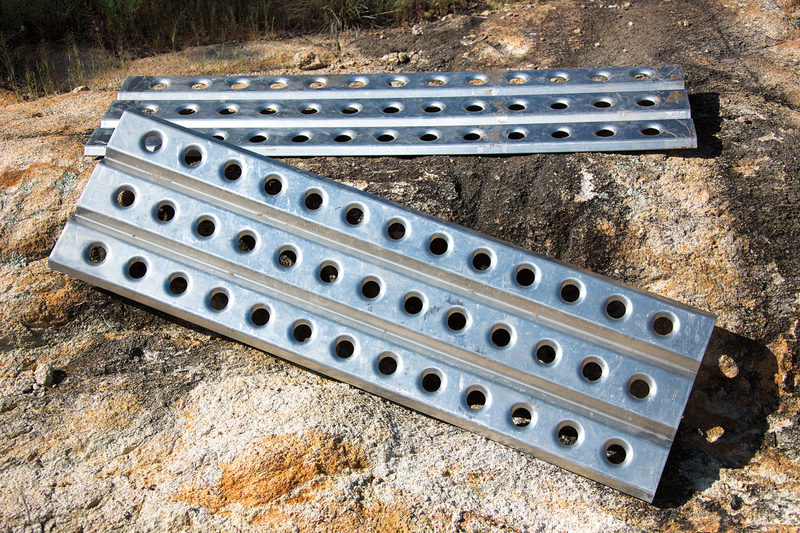 The bridging rails can be field-assembled for compact storage and use a set of 1/4-inch plates, cross rungs, and joining pins. It takes about 10 minutes to put each base together, but the benefit is that the pieces can easily be stored in a drawer until needed. For our stuck scenario, the LinkTrac provided the most inconsistent results, but in most cases, it did provide enough grip to extract the GWagen. We ended up testing the unit seven times in the same condition to aid in forming a conclusion. The challenge we experienced was the lack of a rigid construction, which allowed the track to be pulled through the hole by the tire. The lack of surface lugs also created failed extractions as the tire spun on the surface. We even tried doubling up the tracks, which did help by increasing the ground clearance of the vehicle and stopping the unit from being pulled through by the tire. It also worked in half of the tests, so the results remain somewhat inconclusive. For bridging, the LinkTrac can be assembled with the rails and turned into something that would make an AT-AT Walker jealous. The tracks lay into the channel of the bridge and serve to add traction and additional support. The unit easily handled the weight of the G-Class, demonstrating no measurable deflection. It was so stable that the test driver could not feel the difference between the hard surface and transitioning fully to the span. While it was excellent at bridging, there was a concern of note: the leading and trailing edges of the side panels extend past the track surface and are relatively thin and exceptionally sharp. It would be easy for them to puncture a spinning tire. For ramping, the tracks themselves did poorly, being pulled through by the rotating tire torque. 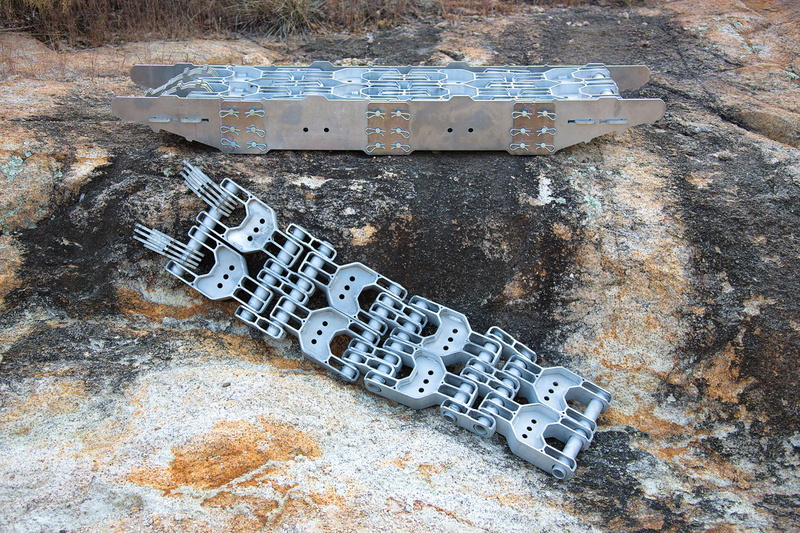 The full assembly with rails performed above average, successfully aiding in the climb; it lacked grip to the rock surface though, causing it to move and shift under the load. The units did exhibit a lack of torsional rigidity, causing them to twist and not return fully to square. Made in the USA, full lifetime replacement warranty. Some of the greatest rewards from these tests are the surprises and revelations that come along the way. Certain products might exceed expectations, while limitations may be found with attributes that can look good on paper (or a CAD file), but fail to perform in the field. Keeping an open mind and managing our potential biases as evaluators are always at the forefront, aided greatly by employing as many testing controls and repeatable conditions as possible. This test is a blend of empirical results and experience-based observations. The soft surface test was the most important, as it represents the most likely situation travelers will encounter. Sand on a beach or a muddy trail back to a favorite campsite—getting stuck can happen just about anywhere. The cinders proved to be a better surface than I had hoped and we were able to get a predictable control, the heavy G-Class spinning the passenger front tire and the suspension fully extended. It asked a lot of the products: one failed the test entirely, while others clearly demonstrated their limitations. This test proved the critical attribute of a ramp profile and the need for the tool to be rigid. The less rigid the plank, the more likely it would get pulled through by the tire and fail the test. It also showed the necessity for strong, well-placed studs on both the ramp and the flat surface of the product. For the ramp attribute, the Tred Pro was particularly impressive, pulling into the set position easily without notable wheelspin. The dish of the Tred ramp is also helpful, matching the radius of the tire and ensuring adequate cleat-to-lug interface. Despite the best-in-test ramp performance, the Tred was only average in traction on the flat of the plank. It also suffered from a curious design decision, a molded “shovel” on one end which played havoc in nearly every evaluation. The shovel end had a lack of studs and also caused the product to pop up unpredictably and often displaced the unit from the hole or even hit the side of the vehicle. If it had a matching ramp on both sides, the outcome would have been much improved. The LinkTrac looks the part and certainly wins the tech award (if we had one), but the hinged design lacked the structure required to allow for predictable outcomes. The surface also needed additional traction, and the AT tires spun or kicked back the track on several tests. They did recover the G-Wagen in half of the attempts, but we could never get a consistent result. The Smittybilt Element ramps did work each time, but they demonstrated more wheelspin and several broken cleats. 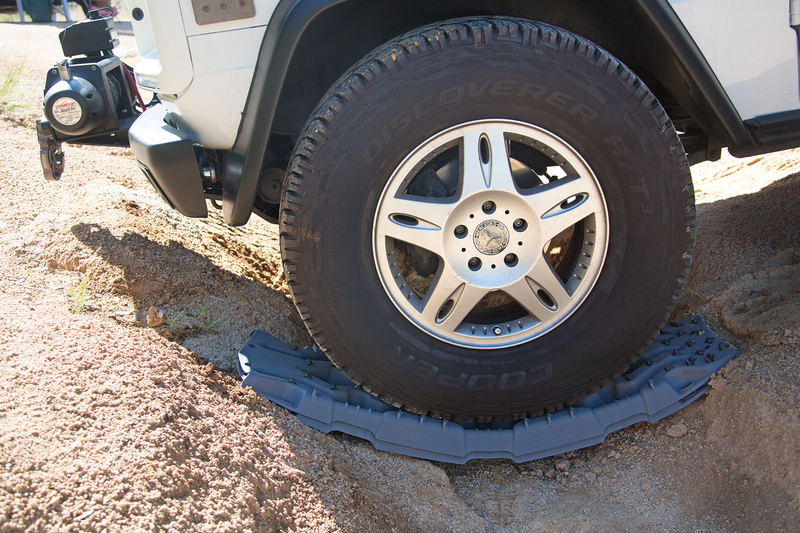 The Mantec PSPs failed to extract the G-Class from the hole, the tire spinning against the smooth surface. This left the Crux and the Maxtrax, which both successfully extracted the vehicle in each attempt. However, the Crux did demonstrate kick-up. This resulted in the Maxtrax winning the soft surface evaluation, recovering the Mercedes every time, not kicking up, and staying set for the rear tire to engage. I attribute the unit’s success to the dual ramps and the clever spacing and intervals of the lugs. For bridging, the only real considerations are the Crux and the LinkTrac with optional bridging rails. The Crux works exactly as advertised and easily supported the weight of the G-Class. The LinkTrac system is more of an engineering masterpiece, with the ability to disassemble down to the size of a shoebox or be configured with additional plates as a single unit, providing a nearly 8-foot span (with a lower capacity). All this takes time in the field, but there are rarely scenarios where speed is a necessity in recovery or road building. My greatest complaint is the sharp ends of the ramps, which make them difficult to handle and could easily slice a tire. LinkTrac’s bridging rails won this part of the test, but the Crux just works much better in other situations, so user needs will dictate the final purchase decision. 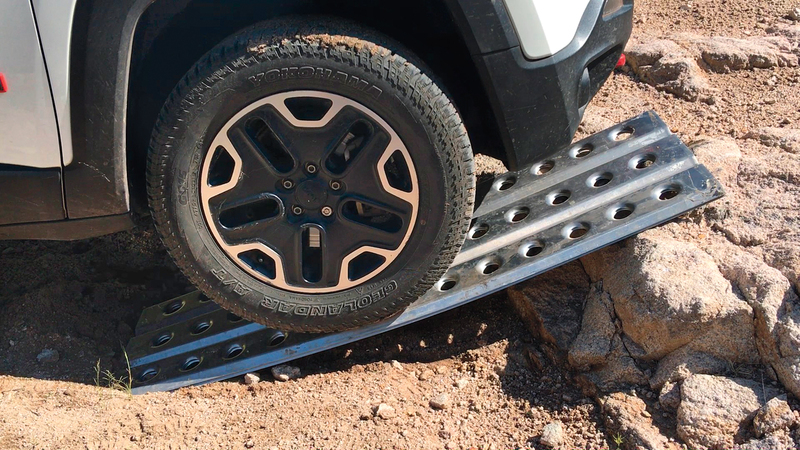 On ramping, the Crux performed the best again, staying the most securely positioned on the rock and dirt, while easily aiding the vehicle over the obstacle. The Smittybilt slid out immediately, and while the Tred Pro certainly helped the vehicle ascend the obstacle, the shovel end often sent the ladders flying. The Maxtrax performed the best of the nylon products. The Mantec PSPs performed admirably, scoring a successful result and not kicking completely out of place. The LinkTrac without the bridging rails failed the test, being pulled through by the tire immediately. With the rails, it performed similarly to the Crux and Mantec, a successful climb. However, we noted that even though the Link- Trac had vertical load strength, it suffered in torsional rigidity. The uneven surface of the ledge caused the base to twist and not return fully to square. So, who takes the ultimate prize? I was continually impressed by the field performance of the Crux bridging ladders, and they have been a part of our team’s kit for years. Our time with the product has revealed several issues in mixed terrain though, primarily poor performance with street-biased all-terrain tires and limited surface traction in wet or snowy conditions. The Crux relies entirely on the edge of the aluminum rungs to provide grip. Add some mud or rain or snow and the effectiveness suffers. They also require careful handling and can be particularly difficult to store in the vehicle—bolted to a rack seems to be the best option. If you have the space, they really can do almost everything, from sand extraction to bridging. 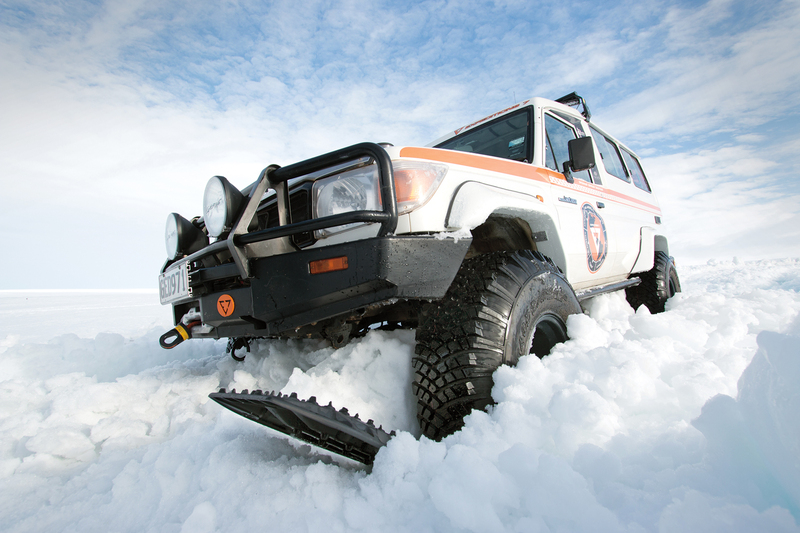 This brings us to the Maxtrax, a product thousands of overlanders have used on adventures because it just works. It performed the best in the soft surface test and can easily be stored using several factory solutions. They also nest well, allowing four planks to be stacked on a roof rack or in the back of a vehicle. As a bridging and ramping tool, they performed better than expected, but the product is not designed for either application. We also weighted those attributes far lower than performance in the soft volcanic cinders. What product wins our Editor’s Choice? The pair of Maxtrax. Bring more than one if you plan to cross the Canning Stock Route in spring.